In a recent post I tried to convince you, our readers, that we still have some of our cool… got it goin’ on, you know?. Not convinced yet? Well, this weekend we went out to trendy Fitzroy neighborhood and had a night out at Kanela, a popular flamenco and tapas bar on Johnston Street. Having studied a bit in Spain (and having a not-so-secret obsession with anything to do with Spanish culture) I was very excited to hit up this hot spot with a couple of friends of ours. The experience was a bit of a mixed bag. Food: If you stay to watch the show there is the option of a $60 pp which includes a tapas per person and then paella for the table to share, along with bread and olives. The portions were decent and we left full. The tapas were pretty average and the paella was not really to my liking but traditional in terms of what you’d expect of a Spanish paella (mariscos, pollo, arroz, and saffron). Going into the night you sort of know that you’re paying for the performance anyway, not the food. Fun atmosphere: From the quaint space, the Spanish décor and guitar music overhead, I felt like I was back in a bodega in Sevilla. Performance: The evening includes a 40 minute performance by flamenco dancers, a Spanish guitar player, and a singer. The music and dancers were as good as any I’d seen in Spain. Flamenco is so amazing and emotional and moving. I will mention that I thought the performance could’ve been a tad longer, maybe a full hour, given what I mentioned above. The place was slightly overpriced for the quality of food which could’ve been well compensated for if the performance had been longer. As we left around 11:15, Johnston street was really coming alive. We noted that most of the young’uns were just starting their night as we sleepily and slowly made our way to our vehicle. Once in the car we talked about how we “belonged” there and how well we fit in with the trendy crowd. And then we laughed. And yawned. And headed for home. 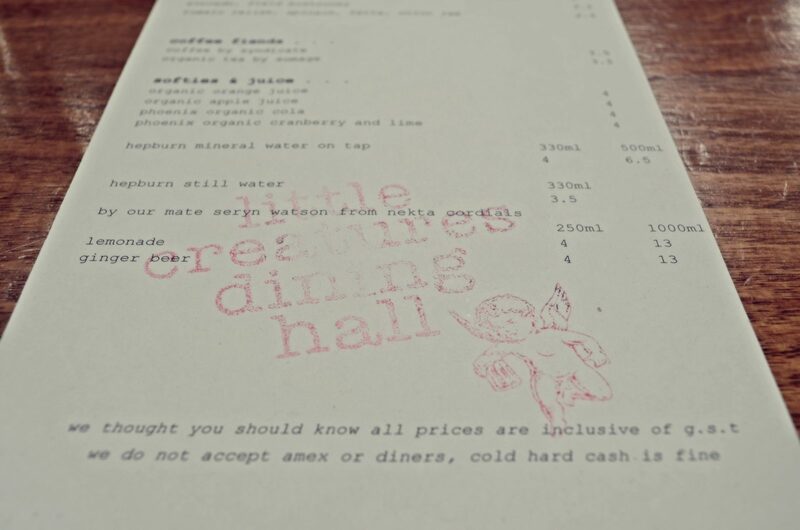 This past weekend we ventured to Little Creatures Dining Hall in Fitzroy on a recommendation. This neat little eatery/drinkery is almost unnoticeable on bustling Brunswick street but as soon as we stepped into the doorway, we knew it was our kind of place. We came for good food, of course, as our recent dining-out adventures have been less-than-impressive, but we also appreciate the whole experience of where we eat. I hope this doesn’t make us sound snooty but for us it’s also about atmosphere. 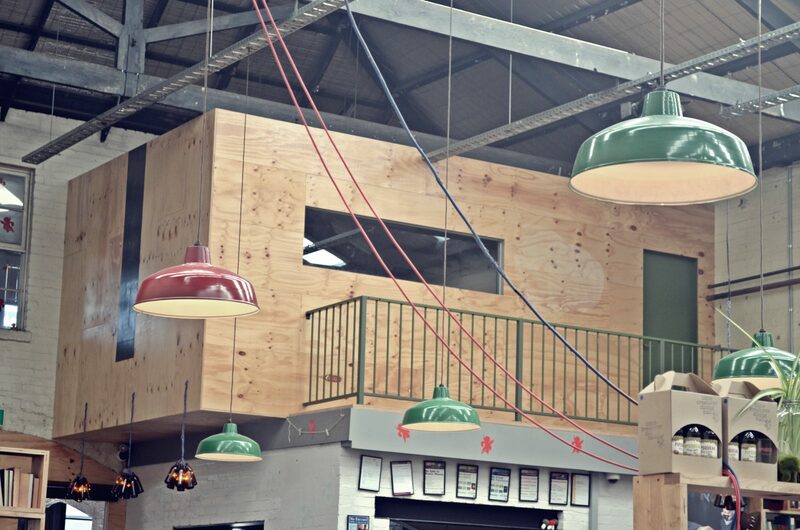 This warehouse-turned-beer-and-dining-hall had a great under-stated feel to it; simple with a touch of vintage. Comfortable. Casual. Hip. I started with a skinny mocha and Ryan chose a White Rabbit beer, the name of which I can’t recall. I do remember, however, that it was over-priced or “dearer” (as Australians would say) than I’d expected. 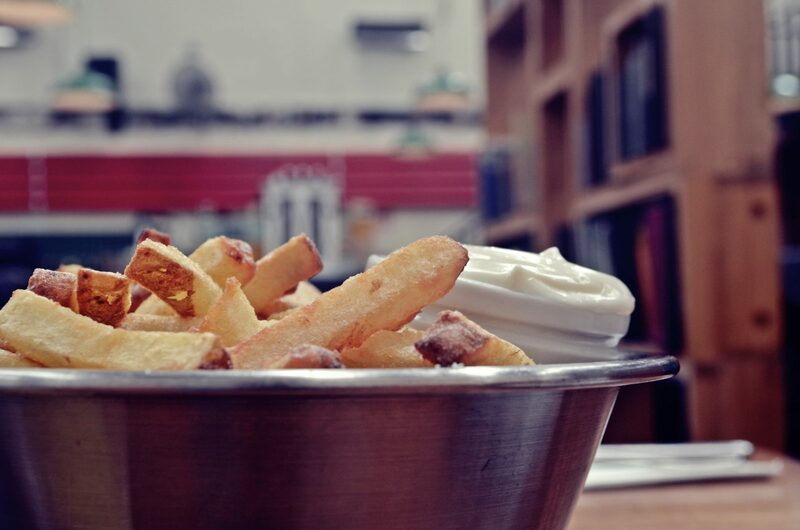 We shared chips with garlic aioli and they were crisp, skin-on, yummy-ness. Ryan really enjoyed his homemade chicken meat pie and I agreed that it was good, as far as meat pies go. My ham and brie piadina was ordinary, at best. I felt like the food on the whole was a bit pricey considering the quality but we really enjoyed the atmosphere and as I said, it’s about the overall experience. 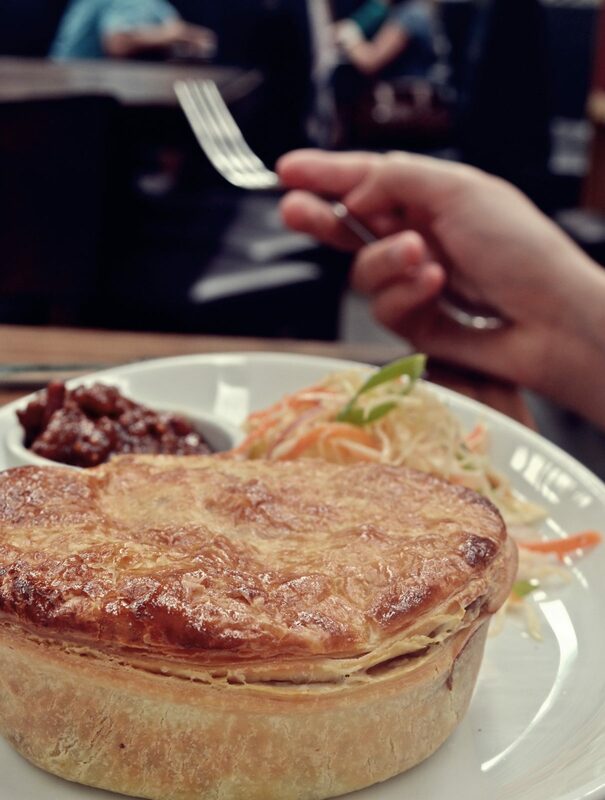 While we might not make a special trip out to Fitzroy to dine here again, we would consider stopping by on our next shopping outing on Brunswick street.